Federico was the only other kid on the block with a dedicated ISDN line, so I gave him a call. It had taken six hours of interminable waiting (peppered with frantic bouts of cursing), but I had just watched 60 choppy seconds of the original Macintosh TV commercial in Firefox, and I had to tell someone. It blew my mind. Video on the Web has improved quite a bit since that first jittery low-res commercial I watched on my Quadra 605 back in 7th grade. But for the most part, videos are still separate from the Web, cordoned off by iframes and Flash and bottled up in little windows in the center of the page. They’re a missed opportunity for Web designers everywhere. But how do you integrate video into an app or a marketing page? What would it look like, and how do you implement it? In this article, you will find inspiration, how-tos and a few technical goodies to get you started with modern video on the Web. Video combined with animation is a powerful tool for innovative and compelling user experiences. Imagine interactive screencasts and tutorials in which DOM elements flow and move around the page in sync with the instructor. Why not combine video with animation to walk new users through your app? Or what about including videos of your product on your marketing page, instead of static JPEGs? Getting carried away is easy — video can become little more than sophisticated blink tags if you’re not careful. But there are plenty of beautiful, inspiring examples of video tightly integrated in a design. 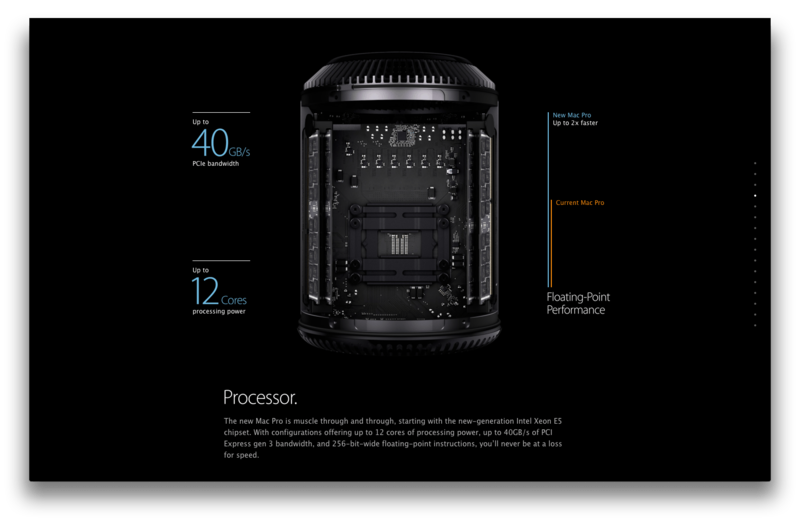 Apple’s new marketing page for the Mac Pro is a stunning example of video reaching out from its cage into the surrounding content. 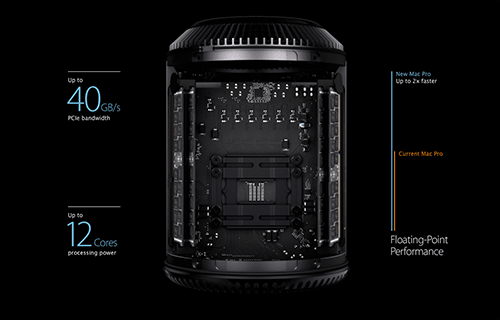 The new Mac Pro is featured in the center of the page, and as you scroll, it swoops and spins and disassembles itself. Supporting copy fades in to describe what you are seeing. Another great example of interactive video is Adrian Holovaty’s Soundslice. 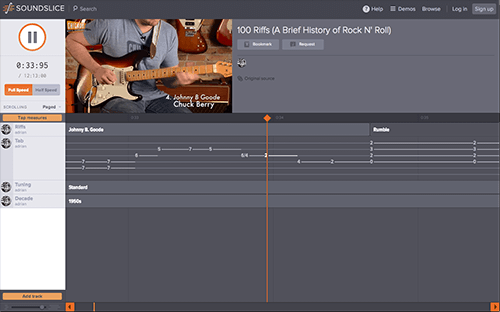 Soundslice is filled with YouTube videos of music sliced and diced into tablature (or tabs), which is notation that guitar players use to learn music. When you watch a music video, the tabs are animated at the bottom in time with the music, so that you can play along with your guitar. 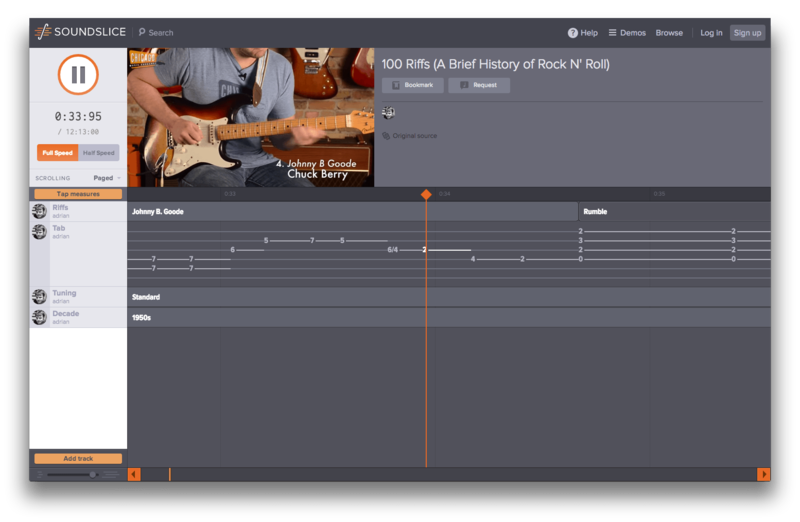 You can even slow down the video or loop selections to practice difficult sections, and the tab animation will stay in sync. How Do You Add Video To A Design? The best way to learn is by doing, so let’s dive in. We need a way to create animations and then trigger them at certain moments in a video. We also need to pause the animations if the video stops, and we’ll need a way to handle the user jumping around to different times in the video. To keep it simple, Charlie.js will support only one video per page. As we go through the exercise of building this library, remember that we’re using the framework just to learn about CSS animation and video on the Web. The goal is to learn, not to create production-quality code. A video and animation library could work in many ways, but the main interface puzzle is to figure out how to couple the animation to the video. How should a developer specify which animations should appear on which elements and at which times they should start in the video? The animations are coupled to an element with data attributes. The data attributes define the animation names and also specify the start times. Charlie.js will see this and know to run the fade and fling animations once the video hits three seconds. The fade and fling animations are defined in a style sheet that is linked to the document. The .fade class is what Charlie.js applies to the animated element, which will trigger the fade animation. With the API out of the way, the next decision is how to host the video. The host will determine what kind of container the video is stuffed into, and the container will determine what is possible with the video. Video embedded with Flash or Silverlight will limit your design options, so the video-hosting service should ideally support HTML5’s video tag. The video tag is easier to style and move around on the page. You can apply CSS filters and transforms and even use CSS animation on the video itself. Plus, the standard media events are robust and provide plenty of places and ways to hook your code into the video. The big downside of the video tag is compatibility. It doesn’t work in Internet Explorer 8. What kinds of video-hosting should Charlie.js support? Building a library that supports multiple hosting options is feasible. For example, Popcorn.js (an awesome library for syncing content with video) supports several hosting options and APIs. But to keep it simple, our little library will support only a vanilla video tag. Anything in an iframe or Flash container won’t be supported. That’s nice for Charlie.js, but what if you are stuck supporting old browsers and have to deal with a video stuffed in an iframe? Most video-hosting companies have decent APIs. At the very least, you should be able to use those APIs to sync up your animation — you’ll just be stuck working with an embedded Flash object. YouTube and Vimeo are the most popular services, and both offer extensive APIs. Wistia is another great option but less well known. If you want to use a pure video tag but don’t want to host the video yourself, take a look at Vid.ly. Once you upload your video, Vid.ly will encode it in every format you need and give you a universal URL that you can use in your video tag, which will automatically choose the correct video type according to the user agent. One other caveat: The code here will run in most modern browsers, but no attempt has been made to make this completely cross-browser compatible. If your business really needs CSS animation to be synced with video and to run in almost every browser, then this library will not help you out. But for my business, and perhaps for yours, supporting only modern browsers is fine. And even with this restriction, plenty of material here is still worth learning. The first thing we need is a utility function to search through style sheets that are loaded on the page. //document.stylesheets is not an array by default. // It's a StyleSheetList. toArray converts it to an actual array. //and checks if it passes the matches function. To find all of these classes, we again use the findRules function to go through every rule in every style sheet. This time, though, the matches function that we’ll pass in will check to see whether the rule has an animationName property. Once the correct prefix has been determined, the name is cached and used for future look-ups. Once the keyframes and animation styles have been collected, they get stuffed into an instance of a helper class and stored for Charlie.js to use later. Timing information is attached to the element that will be animated using a data attribute (remember that we decided this when we were defining the API). So, we need to crawl the document and pull out the information. Any element that will be animated is marked with the class of charlie, which makes it pretty easy to find the data attributes we are looking for. * Creates an object of animation name: time, e.g. // creates an array of arrays, each one called a "tuple"
* which is a little easier to work with. This stores all of the timing information in an object with the animation’s name as the key, followed by a list of times and elements. This object is used to create several Animation objects, which are then stuffed into various data structures to make it easy and fast to look up which animations should be running in the big loop. The heart of Charlie.js is a loop that runs whenever the video runs. The loop is created with requestAnimationFrame. The requestAnimationFrame function is specifically designed to optimize any kind of animation, such as DOM manipulations, painting to the canvas, and WebGL. It’s a tighter loop than anything you can get with setTimeout, and it’s calibrated to bundle animation steps into a single reflow, thus performing better. It’s also better for battery usage and will completely stop running when the user switches tabs. The loop starts when the video starts and stops when the video stops. Charlie.js also needs to know whether the video ends or jumps to the middle somewhere. Each of those events requires a slightly different response. /* start up any animations that should be running at this second. Everything we have done up to this point has been to support these few lines of code. The seconds variable is just the video.currentTime value rounded to the nearest tenth of a second. The bySeconds property is created from the time data that is scraped from the HTML — it’s just a quick way to grab a list of animations to start at a given time. The running array is a list of animations that are currently running. The requestAnimationFrame loop is really fast and runs many, many times a second, and Charlie.js only supports a resolution of one tenth of a second. So, if one animation starts at the 2-second mark, then requestAnimationFrame will try to start it several times until the video has progressed to the next tenth of a second. To prevent animations from starting over and over again during that tenth of a second, they get put into the running array so that we know what is running and don’t start it again unnecessarily. To start a CSS animation, just add the animation properties to an element’s style. The easiest way to do this is to just add the animation class to the element’s classList, and that is exactly what the animation’s start method does. //The name of the animation is the same as the class name by convention. The name of the animation is the same as the class name by convention. When the video stops, the animations should stop with it. There is a pretty straightforward way to do this using CSS animations: We just set the animationPlayState property of the element to paused. What if someone skips ahead in the video and jumps right into the middle of an animation? How do you start a CSS animation in the middle? The animationDelay property is exactly what we need. Normally, animationDelay is set to a positive number. If you want an animation to start three seconds after the animation style has been applied, then you’d set animationDelay to 3s. But if you set animationDelay to a negative number, then it will jump to the middle of the animation. For example, if an animation lasts three seconds, and you want the animation to start two seconds in, then set the animationDelay property to -2s. // 3. start 'em up. The animationsToStart function loops through a sorted list of animations and looks for anything that should be running. If the end time is greater than the current time and the start time is less than the current time, then the animation should be started. The timeModel is a list of animations sorted by the times when the animations should end. This code loops through that list and looks for animations that start before the current time and end after the current time. The toStart array represents all of the animations that should be running right now. Those values get passed up to the higher-level code, which then computes and sets the delay in the setDelay function. The seconds parameter is the current time in the video. Let’s say that the video is at 30 seconds, that the animation starts at 24 seconds and that it lasts for 10 seconds. If we set the delay to -6s, then it will start the animation 6 seconds in and will last another 4 seconds. We’ve covered here how to use requestAnimationFrame to create a tight, optimized loop for animations, how to scrape keyframes and animation styles from the style sheet, how to start and stop animations with the video, and even how to start CSS animations in the middle. But to get to the point, we’ve skipped over quite a bit of glue code. 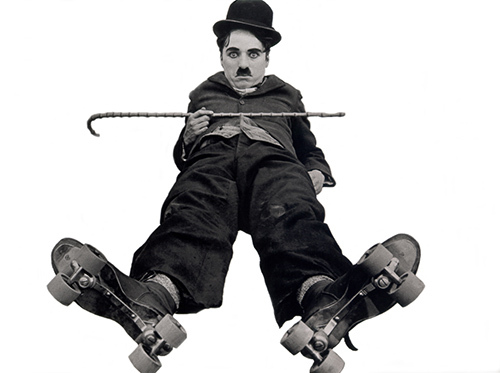 Charlie.js is only a couple of hundred lines of code, and it is open source and commented thoroughly. You are welcome to grab the code and read it. Charlie.js was made for educational purposes. It was made to be read and for you to learn about CSS animations, videos, requestAnimationFrame, etc. Don’t just plug it into your production code unless you really know what you are doing. Cross-browser support for animation is pretty good, and Charlie.js tries to be friendly to all the browsers when it can be. However, it hasn’t been heavily tested. The user can’t drag the seek bar while the video is unpaused. If they do, then the animations will start and overlap each other. Charlie.js does not respond to changes in frame rate. So, if the video stutters or you want to slow down the rate of the video, then the animations will fall out of sync. Also, you can’t run video backwards. Animations won’t start if the current tab isn’t set to the video, due to requestAnimationFrame not running unless the video tab is active. This could confuse users who switch back and forth between tabs. Some of these limitations can be fixed pretty easily, but Charlie.js was made for a very limited use case. I’ve put together a demo of Charlie.js in action so that you can see what it can do. The future of video in Web design is filled with possibilities, and I for one can’t wait to see what happens. A demo of Charlie.js See what you can do with video and CSS3 animation.